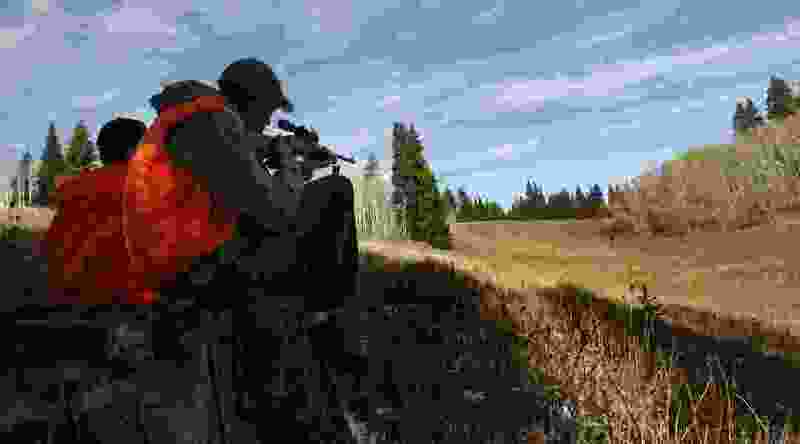 (Tribune file photo) Hunters scope the hills and forest near Six Bit Springs in the Monte Cristo area of Cache National Forest at the start of the 2008 general rifle deer hunt. While the latest U.S. Fish and Wildlife Service five-year study of wildlife participation trends revealed that 40 percent of Americans enjoy watching wildlife, hunting or fishing, one participant group declined. That would be the number of hunters. Hunting participation declined by 2 million participants from 2011 to 2016 to 11.5 million. Total hunting expenditures declined 29 percent from $36.3 billion to $25.6 billion. Since taxes on hunting and fishing gear and hunting license sales help pay for wildlife management throughout the United States, that drop can have far-reaching consequences. The survey is the 13th in a series conducted every five years since 1955. The biggest increases in participation involved wildlife watching, defined as the observation or photographing of wildlife. These activities surged 20 percent to 86 million participants. Money spent on these activities also rose sharply from $59.1 billion to $75.9 billion. Fishing remained popular, with an 8 percent increase recorded in the survey. There are now 35.8 million anglers. Expenditures rose two percent to $46.1 billion. To view the preliminary report, visit wsfrprograms.fws.gov/Subpages/NationalSurvey/National_Survey.htm.